DUBAI (Reuters) – Iran has pursued a longstanding effort to buy banned components for its nuclear and missile programs in recent months, a U.S. official said on Sunday, a period when it struck an interim deal with major powers to limit its disputed atomic activity. Vann Van Diepen, Principal Deputy Assistant Secretary of State for International Security and Non-Proliferation, said Iran was still "very actively" creating front companies and engaging in other activity to conceal procurements. 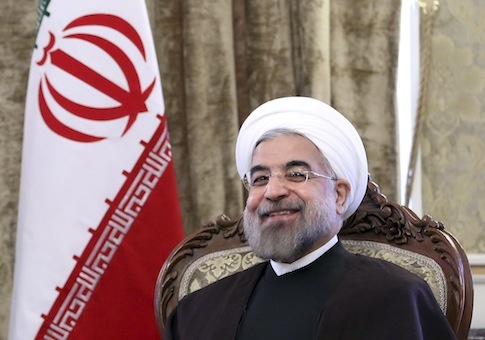 The reported supplies do not contravene last year's breakthrough agreement between Tehran and six world powers to curb its most sensitive atomic activity in exchange for some limited easing of sanctions damaging its economy. But such trade would breach a 2006 U.N. embargo banning the provision by any nation to Iran of materials related to its nuclear and missile development work. Western experts say such low-profile procurement efforts by Iran date back many years, perhaps decades in the case of its nuclear activity. Asked if he had seen a change in Iranian procurement behavior in the past six to 12 months, a period that has seen a cautious thaw in U.S.-Iranian relations after decades of hostility, Van Diepen replied: "The short answer is no. "They still continue very actively trying to procure items for their nuclear program and missile program and other programs," he told Reuters in an interview. "We continue to see them very actively setting up and operating through front companies, falsifying documentation, engaging in multiple levels of trans-shipment … to put more apparent distance between where the item originally came from and where it is ultimately going." Asked for reaction to the allegation, a senior Iranian official replied: "No comment". Van Diepen did not say what sort of components Iran had sought to obtain or which part of a government known for having competing hardline and moderate factions was responsible. In the past, Western officials said Iran's elite Revolutionary Guards and the Defence Ministry – both hotbeds of opposition to any rapprochement with the West – were believed to control clandestine nuclear procurement efforts. Iran denies Western allegations that it has long sought covertly to develop the means to produce nuclear weapons, saying its uranium enrichment program is solely a peaceful endeavor to yield electricity as well as isotopes for medical treatments. Diplomats have said that Iran is meeting its commitments under the November deal, under which Iran suspended its higher-grade enrichment and stopped increasing its capacity to produce low-refined uranium, among other steps. Uranium forms the core of a nuclear bomb if enriched to a high fissile purity. The six-month agreement, which took effect on January 20 this year, was designed to buy time for talks on a final settlement defining the overall scope of Iran's nuclear work to end fears that it could be diverted to military ends. Those talks got under way in Vienna last month and a second round at the political director level will be held on March 18-19, also in the Austrian capital. The aim is to reach an agreement by late July, although that deadline can be extended by another half year if both sides agree. Iran has one of the biggest missile programs in the Middle East, regarding such weapons as an important deterrent and retaliatory force against U.S. and other adversaries – primarily Gulf Arabs – in the region in the event of war. Its efforts to develop, test and field ballistic missiles, and build a space launch capability, have helped drive billions of dollars of U.S. ballistic missile defense expenditure, and contributed to Israel's threats of possible pre-emptive military action against Iranian nuclear installations. Since Iran is not a self-sufficient manufacturer of missiles, the expansion of its inventory depends on the import of goods and materiel sourced abroad. Van Diepen said that while there was no direct link between the level of Iranian illicit procurement and the negotiations on a settlement to the nuclear dispute, "obviously if the negotiations succeed then there should therefore be a corresponding decrease in Iranian proliferation activity."